Freelancer workers must show client commitment and provide good customer service if they want to stay in business for any length of time. This often seems like just another (unpaid) service that freelancers must provide, but a commitment to a project is a commitment to a client and so good customer service becomes a requirement. The good news is that freelance workers are, by their very nature, able to provide personalised customer service to each client. They are also able to set boundaries for their clients and utilise a multitude of communication channels for staying in touch. At the end of a project, freelancers are also able to solicit feedback from clients so that they can analyse what they are doing right, and what they are doing wrong – and fix it for that client in the future. Freelance workers tend to be one man shows, so pushing off customer service tasks onto others is not an option. Instead, the freelancer must make a commitment to their clients and follow it through. Whether they like it or not, freelancers thus provide personalised customer service. This can be a unique selling point for freelancers when they remind potential clients that they will always be in touch, and there will be no waiting to be put through to an outsourced call centre or an assistant who routinely says that they are not it. Being available to talk to clients is often enough to make clients choose one freelancer over other options. Clients want a freelancer’s commitment to their project, but it is up to freelancers to set the boundaries of this commitment and tell the client exactly what can be expected of them. For example, freelancers can set their own business (and contact) hours, let clients know which days of the week they do not work, let clients know when they will be on holidays and let clients know when and where they will be available for face to face meetings. While it may seem odd that the person providing the service would start by telling a client what they can and can’t have, taking a “what you see is what you get” approach is very popular as both the client and freelancer know exactly what they can and can’t have going forward. However, once these boundaries are set a freelancer should stick to them. Every time (s)he does work outside of these boundaries it is an invitation for clients to reciprocate with communication outside of them as well. Freelancers who set limits must stick to them. Freelance workers can use a variety of communication channels to stay in touch with clients, and using them all can help them show commitment and provide good customer service. 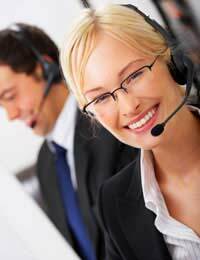 For example, freelancers who take clients’ calls and/or respond to their emails will be popular with clients. Freelancers who are willing to post or fax items will be even more popular. Freelancers who are willing to do all of this and meet face to face to confer with a client will be the most popular. None of this needs to be done out of business hours, so by working customer service into the daily workings of his or her business the freelancer can prove their commitment to their projects and clients. This will not go unnoticed. Even when a project is finished a freelancer’s commitment to the client does not end. Freelancers usually hope to keep clients as repeat business, so soliciting feedback about the project and the overall experience is a great way for freelancers to find out what worked and did not work for the particular client. Freelancers should explain to clients that they will be using this feedback to tailor their services in the future. Not only does this show clients that the freelancer is committed to them, but that they can expect even more personalised customer service in the future – a strong incentive to come back. Client commitment and good customer service can set a freelancer apart from the crowd. Personalised customer service, setting boundaries for clients, using various communication channels and soliciting client feedback are all services that freelancers can provide in the way of customer service.